“It’s too easy to get guns, first and foremost. When you can walk in somewhere and you can get one in 5 minutes, do a background check that takes 5 minutes, like how in-depth is that background check? 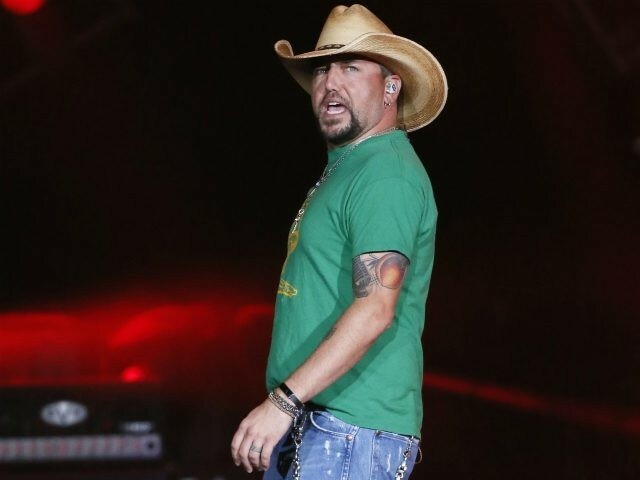 Those are the issues I have,” Aldean told the Associated Press. “It’s not necessarily the guns themselves or that I don’t think people should have guns. I have a lot of them,” the country rocker said. However, the facts don’t support his claims. The Parkland school shooter passed a background check to acquire his rifle, as did the Texas church shooter and the October 1, 2017, Las Vegas attacker. Moreover, the Alexandria attacker (June 14, 2017), Orlando attacker (June 12, 2016), the UCLA gunman (June 1, 2016), the San Bernardino attackers (December 2, 2015), the Colorado Springs attacker (October 31, 2015), the Umpqua Community College attacker (October 1, 2015), Alison Parker’s attacker (August 26, 2015), the Lafayette movie theater attacker (July 23, 2015), the Chattanooga attacker (July 16, 2015), the alleged Emanuel African Methodist Episcopal attacker (Jun 17, 2015), the Muhammad Carton Contest attackers (May 3, 2014), the Las Vegas cop killers (June 9, 2015), the Santa Barbara attacker (May 23, 2014), the Fort Hood attacker (April 2, 2014), the Aurora movie theater attacker (July 20, 2012), and the man shot Gabby Giffords (January 8, 2011), all passed a background check to acquire their guns. Many miss the fact that a background check is just that — a check that looks backward. It is done by the FBI and if there is no criminal history found, there is nothing to cause an individual from passing a check. Therefore, most public attackers are people who have kept their criminal records clear. And this allows them to acquire a gun just before they act criminally for the first time. Breitbart News previously reported that background checks do not stop latent criminals, only actual ones.